Our Mother’s Day trip sold out in minutes, so we decided to add another mother-daughter trip in May! Grab your mom and join us on a creative journey through Mexico City in celebration of Mother’s Day 2019. 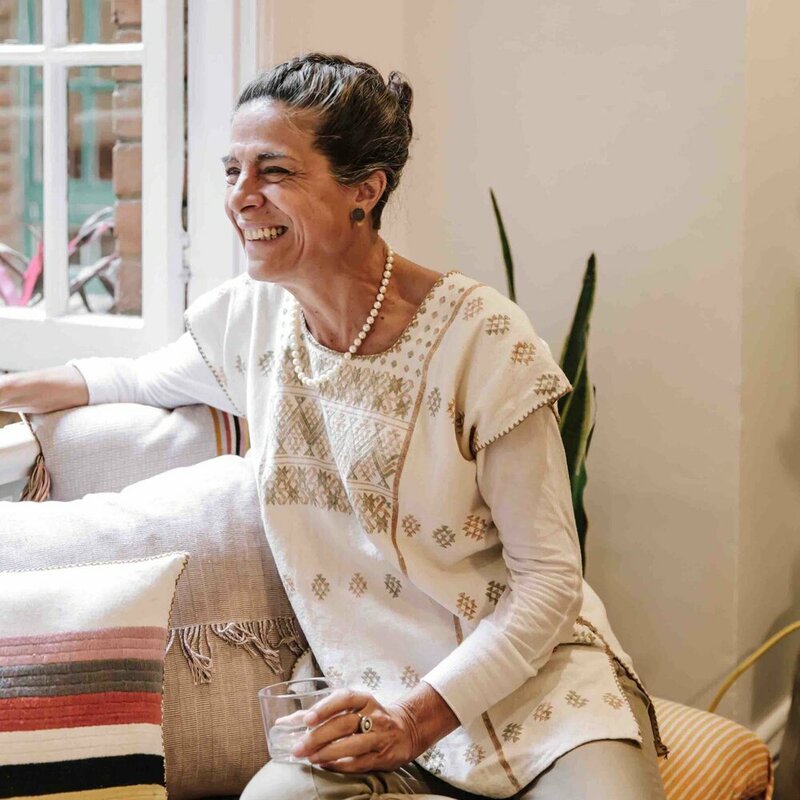 You'll sleep in beautifully designed spaces, eat amazing meals, learn about the local culture and art, and (most importantly) meet and connect with badass women like YOU (and your mama!). This city has a vibrant, budding community of creative women, and we’ll be meeting a ton of local makers and entrepreneurs along the way. You’ll also be happy to know that every aspect of this trip will support local women-run businesses (including the hotel you’re sleeping in). Check out the itinerary below to see what we’ll be up to! *A 50% deposit is required at checkout, the remaining 50% balance is due no later than 60 days before departure. If you are booking for both yourself and your mom/daughter, please select quantity of 2. Hello CDMX, we've arrived 💁🏻. We'll drop our bags, freshen up a bit, and get to know the other mom/daughter duos on our trip over cocktails on the Ignacia Guest House patio. Dinner is coming to us! Mariana Vizcaino, owner of culinary group Comedor, will teach us her favorite Mexican recipes before we all sit down for a relaxed group dinner at Ignacia. We've got an early wake up call and places to be, like a food crawl led by Mexico City's local foodie expert, Rocío. With a focus on supporting female vendors, she'll make sure you sample everything your heart desires. You'll even learn how to make tortillas! After a cocktail hour in the Ignacia garden, you'll have a free evening to do your own thing. We’ll start our day with Mariana Villarreal, the owner of popular jewelry brand Sangre de mi Sangre. She’ll be giving us a personal tour of her studio and a workshop on precious and semi-precious gemstones. You’ll even get to make your own necklace to take home with you. After the workshop, we’ll gather for an organic rooftop lunch pulled together by the ladies at botanical company PLANTA. The evening will be yours to explore some of the city’s restaurants or nightlife. 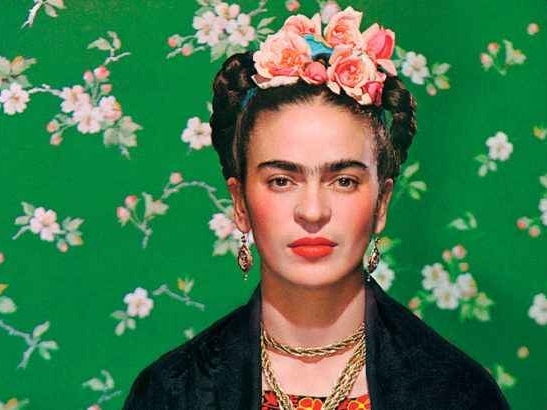 Today we channel our inner Frida Kahlo 👑. We're touring Casa Azul - the Mexican artist's home - with Natalia Zerbato, CDMX's resident Frida expert, who will be teaching us about Frida's life as we explore her art, clothing, and studio. We'll also stop at Colorindio, a Mexican textile company owned by our friends Paulina & Libia. They'll talk to us about the importance of textiles in Mexican culture and we'll do a little shopping in their private showroom. Then, back to Ignacia for cocktails before a goodbye dinner at Meroma with chef Mercedes Bernal. We'll say our goodbyes and exchange contact info over breakfast before packing up and heading to the airport. If you're planning to extend your stay in Mexico, we'll help you get to the right place (with some travel tips, of course!). You’ll be getting your beauty sleep at Ignacia Guest House in the charming Roma Norte neighborhood. In your rooms you’ll have luxe amenities like free wifi, Netflix, a Nespresso machine, and fancy bath products. All the rooms are fabulous, but some are larger than others to rooms will be assigned based on booking order (first come, first serve). Mom and daughter pairs will share rooms with queen beds. Interested in joining, but looking for more information? We LOVE chatting with our travelers before they book. Just fill out this form and we'll get back to you ASAP!